The S&P 500 has risen nearly 16 percent in 2019 and is on track for its best performance in history should current trends hold. It always makes me laugh when the pundits write that 'the stock market is having a great day/week/year'. They're usually neglecting to point out that, in reality, it just shat the bed and it is infact only recovering it's recent losses. 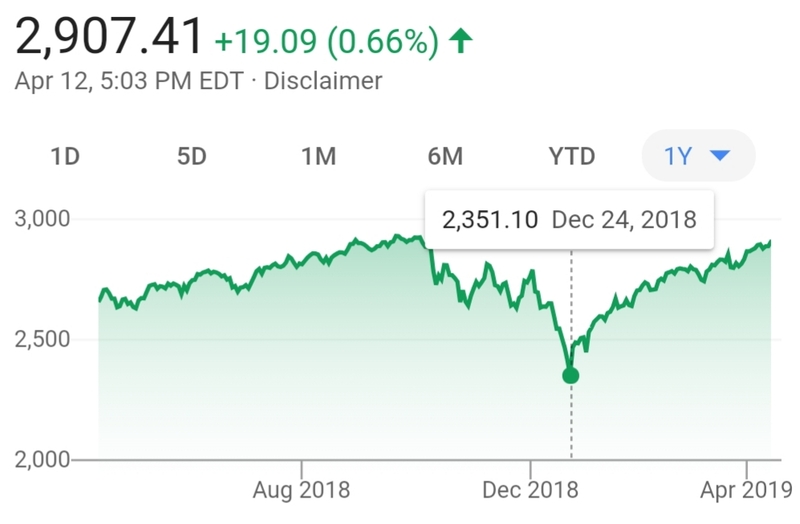 Yes, i guess if you bought stocks on Christmas day you're having a great year!